RENÚ® is a Dermal Filler used for Facial Aesthetic enhancement and beautification. 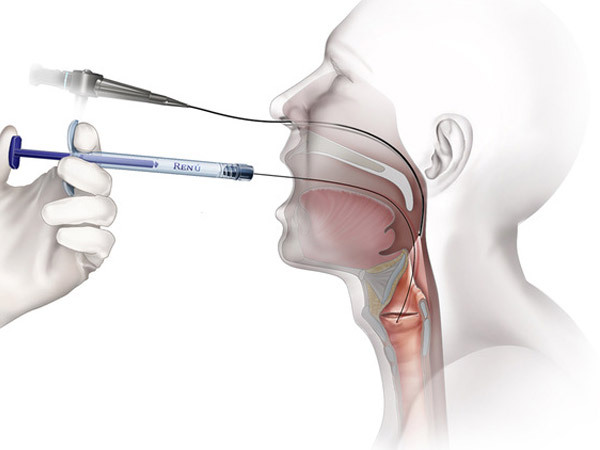 RENÚ®’s advanced CaHA based technology provides a longer lasting result. RENÚ® does more than just fill facial wrinkles and folds such as nasolabial folds. Its advanced calcium- based technology promotes the growth of a patient’s own collagen to create fullness and a youthful appearance by restoring volumes that can last longer than other fillers. RENÚ® CaHA based technology provides an aesthetic correction that has been shown to last a year or longer without the risks associated with permanent implants. RENÚ® Calcium Hydroxylapatite Implant is indicated as a soft tissue-bulking agent for vocal fold medialization, vocal fold insufficiency, subdermal implantation for the correction of moderate to severe facial wrinkles and folds and for the restoration or correction of the signs of facial fat loss (lipoatrophy) in people with human immunodeficiency virus. Injectable soft tissue fillers offer a versatile, nonsurgical alternative for facial augmentation and contouring. Specifically, injections of Calcium Hydroxylapatite Implants have been shown to restore or enhance facial features affected by disease, aging and injury with the corrections becoming immediately visible. The gel carrier for the calcium hydroxyapatite (CaHA) particles is gradually absorbed leaving the particles to act as a scaffold for new tissue formation and collagen deposition. RENÚ® is different because it lasts longer than hyaluronic acid based fillers or other short-acting injectables. Further, Renú’s advanced composition both volumizes and stimulates new collagen growth. This desirable response means that wrinkles and folds maintain a cosmetic correction over the long term. RENÚ® is a robust, high viscosity, full-bodied material, which allows physicians a superior level of malleability and finesse for facial aesthetic applications. RENÚ® is the ideal beauty enhancer for every woman or man who wants to regain the smooth fullness and natural-looking contours of a youthful appearance. RENÚ® provides immediate cosmetic improvement with enhanced results that last longer than other fillers. This translates to an injectable solution that is attainable for increasing numbers of patients who want sustained age-defying benefits without downtime at a fraction of the cost of other fillers or surgery. RENÚ® the optimal choice for women or men who have used short-acting fillers but are frustrated by the cost and inconvenience of repeat injections every few months and want to avoid the risks of permanent implants. Current concepts in cosmetic appearance conclude that facial aging involves changes in skin quality, facial laxity, and in facial volume.3 Skin quality is treated with laser resurfacing and facial laxity is managed with lift procedures like face lifts. Facial volume can best be dealt with by injection treatments and this is better provided by high viscosity and higher yield strength products like the Calcium Hydroxylapatite Implant. Collagen deposition continues with collagen slowly replacing first the the carrier gel and then the hydroxylapatite particles until remodeling is complete in about one (1) to two (2) years. While not being a 1:1 replacement, this tissue regeneration may account for the durable correction obtained in some of the patients. 3The primary facial areas that have been treated include the nasolabial folds, marionette lines, pre-jowl depressions, acne scars, malar, and other general soft tissue defects. The calcium hydroxyapatite acts to volumize and lift the treated site. Clinical experience in cosmetic applications has shown, calcium hydroxylapatite to be biocompatible and to provide a durable augmentation. Calcium hydroxylapatite particles provide a matrix for collagen formation with the result being an implant that ends up closely resembling the surrounding tissue. Collagen deposition within a calcium hydroxylapatite implant is thought to begin with Type III collagen which is gradually replaced by Type I collagen in approximately six (6) months. 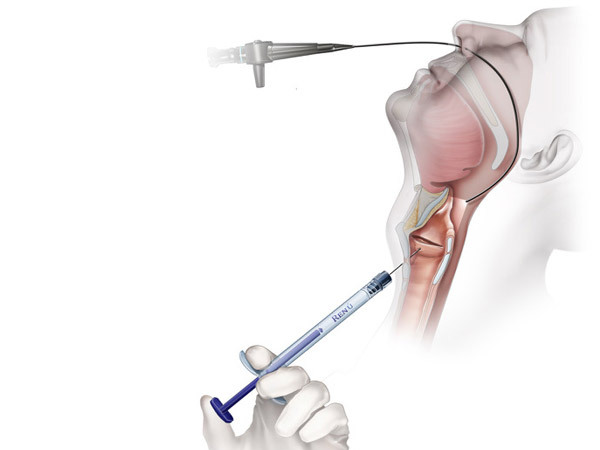 The administration is performed using a needle of appropriate size following a retrograde injection technique. The needle should be placed at the subdermal plane or deep dermal levels. 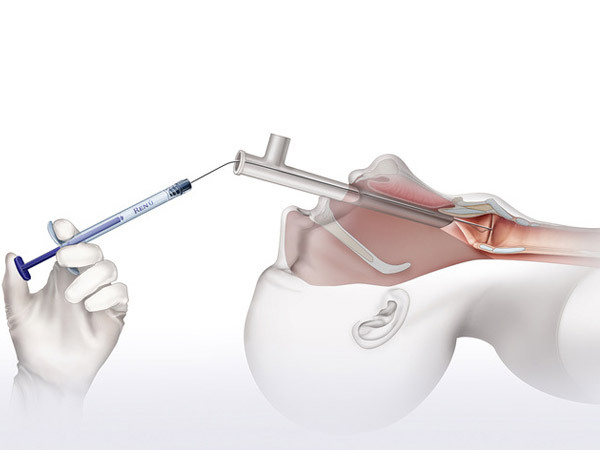 The injection technique can be by either single, fanning, or parallel tunnels of relatively small amounts of the calcium hydroxyapatite implant. The specific technique varies according to the nature of the defect. Linear layering in the subdermal plane is accomplished by manual molding for a smoother contour. Overcorrection should be avoided. 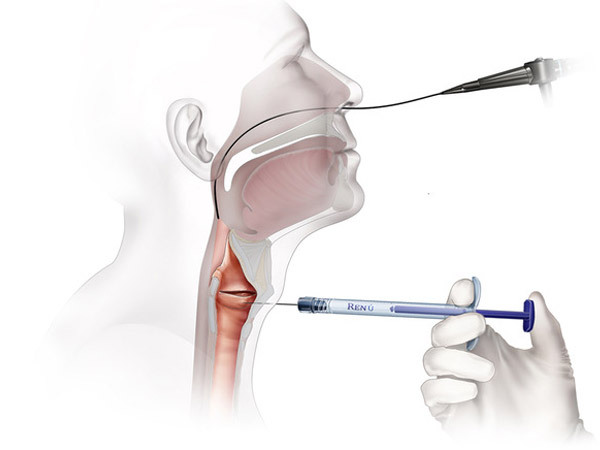 The injected material can be molded after injection for approximately two weeks until tissue infiltration has advanced. It is suggested that an area be corrected to the preferred outcome before treating another area as post-injection swelling may interfere with visualization. Multiple treatments may be needed to acquire optimal outcomes. Treatments require little administration time and often have most patients returning to their normal activities immediately after treatment.